The commission’s chair says the inquiry’s legal team should prepare documents that would enable to decide on Manyi’s texts to a witness and whether Manyi should be summoned. 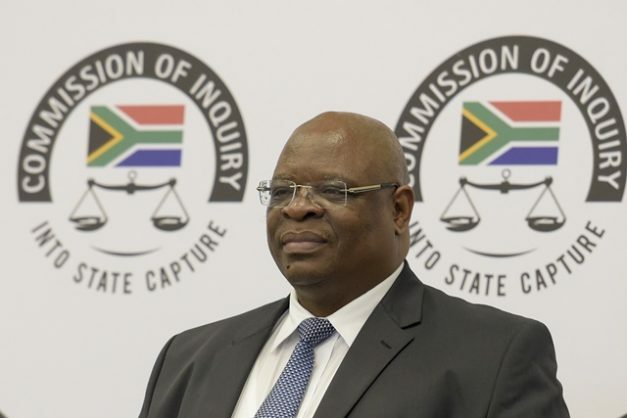 State capture inquiry chair Deputy Chief Justice Raymond Zondo instructed the commission’s legal team to put together documentation that would enable him to take action on the matter of Mzwanele Manyi sending a text message to acting Government Communication and Information Systems (GCIS) chief executive Phumla Williams during a break in her testimony on Friday. Shortly after returning from the tea-break, Williams told Zondo that Manyi had sent her a text message during the adjournment that she, Williams, should tell the inquiry that The New Age and SABC breakfasts had not occurred during his tenure as GCIS boss. During her testimony before the break, Williams told the commission how during Manyi’s time as chief executive at GCIS, the procurement department was allegedly “bullied” into hosting The New Age and SABC breakfasts even though these fell outside the GCIS’s scope, which is broadcast and print. Upon hearing about the text message from Manyi to Williams, Zondo instructed the commission’s legal team to investigate the matter. Manyi has since gone on Twitter to confirm that he did send the message to Williams. “Just so it’s clear. Phumla was relating the changes I brought into GCIS. In the same breath, she mentions TNA/SABC breakfast which in my view created the impression that I was somehow part of that. So I sent her a text for her to clarify that this happened after my era,” Manyi tweeted. Ahead of the lunch break, Zondo said the protection of witnesses at the commission is very important. “With regards to communication to the witness during the course of her testimony, these will be preserved and also provided to you [chair],” Pretorius said. Pretorius said regulation 12 (1) clearly indicates that it is an offence to prejudice the inquiry or its proceedings and that regulation 10 (6) empowers the commission’s chair to call individuals to appear at the inquiry. “So, to the extent that you may find after the investigation that it is appropriate to do so, you may consider summonsing Mr Manyi to appear before you to explain such conduct as you might find either possibly unlawful or appropriate,” Pretorius said.